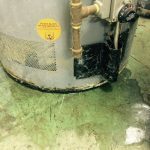 Water softeners remove harmful minerals from your hot water that cause buildup in water heater pipes that can cause damage to your water heater. Information and tips on water softeners and how to maintain equipment, why soft water is necessary and better for your water heaters, and more from the professionals at Reliable Water Services. Water Purification: It’s a BIG Deal! Have you ever stopped to consider exactly how water gets to your home and business? Most of us have a vague understanding of pipes, water pumps and giant towers filled with water—but that’s just the beginning.Water intake plants are located at major water sources, such as rivers, lakes and dams. Water flows from its source into these plants and out through countless miles of pipes called aqueducts, which transport water almost everywhere.